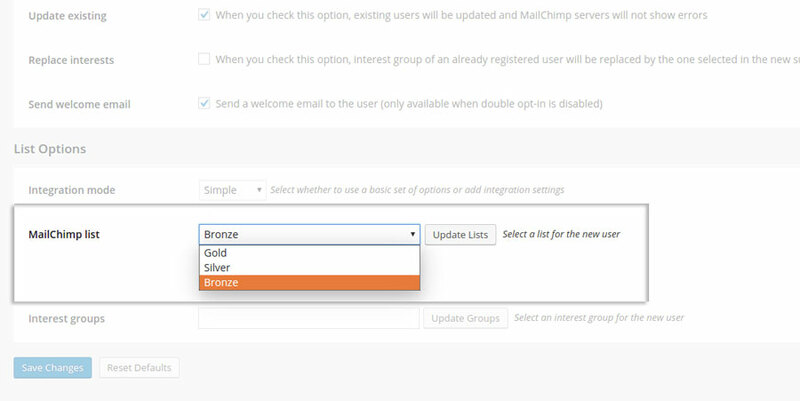 Go to the plugin settings dashboard and select, in “MailChimp list”, the list to which you want to subscribe your users. All the lists available in your account will be shown: if you have just created a new list and it is not shown among the available ones, click on “Update Lists” button to update the list. 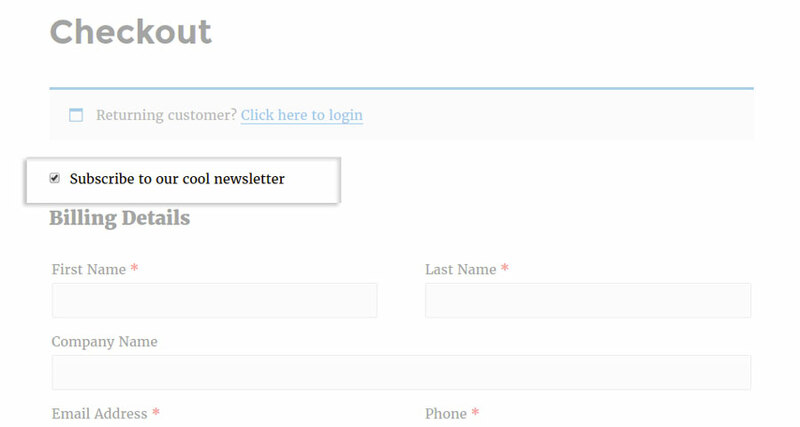 The subscription to the list can occur in an implied way or only upon user’s request. 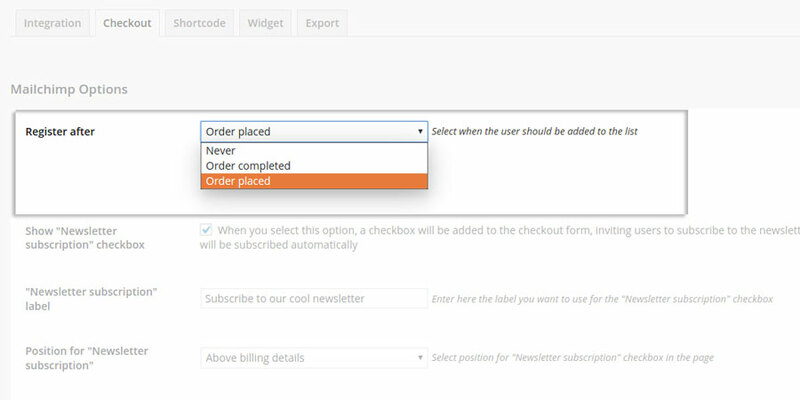 In the second case, it is essential to enable, through the specific option, the approval checkbox avalable in the “Checkout” page. 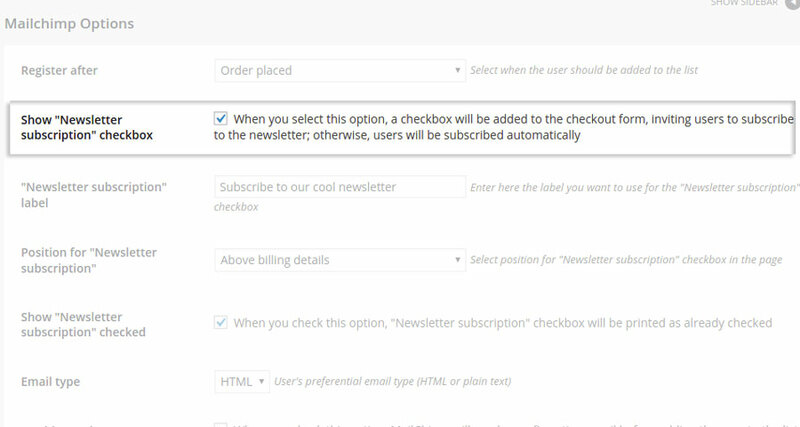 Unless the Double Optin option hasn’t been enabled, the user will be added to the selected MailChimp list.